Emerald Ash Borer is Here. Save your Ash Trees or Give them up to the Bugs! Emerald Ash Borer (EAB) is killing millions of ash trees and places many trees in your neighborhood at risk. The choice is clear – either treat your trees to save them, or expect them to be killed by the borer. EAB is an invasive pest from Asia that threatens the ash tree population throughout the U.S. where it has already killed tens of millions of trees with no sign of slowing down. In Wisconsin alone, there are an estimated 834 million ash trees and 37 counties are already under quarantine to help stop the spread of EAB. What do I do if I have ash trees? And what do I do now? First, you need to call one of our First Choice Tree Care experts to come and inspect the ash trees that may be infected on your property. We will help you evaluate the health and value of your trees. Not all ash trees should be treated or saved. Let us help you determine whether your ash trees are in good health and contribute significantly to the value of your property or whether they are small, hazardous or unhealthy and should be removed. We will be able to provide advice to help you make a comfortable decision and help you develop a course of action for your ash trees – one by one. You don’t have to lose your tree. Research has shown nearly 100% survival with treatment. Protection prior to EAB discovery is most effective, the earlier the treatments, the better chance you have of saving your trees. Consult with us for an honest appraisal on whether your tree can or should be treated by our experts. We will then discuss a course of action with your and develop a plan to fit your needs and budget. Our Guarantee is the strongest in the industry. 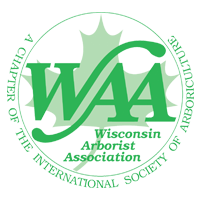 With proper treatment, our ISA Certified-Arborists guarantee to save your ash trees! Make the Right Choice and call First Choice Tree Care Today to help with all your EAB concerns. 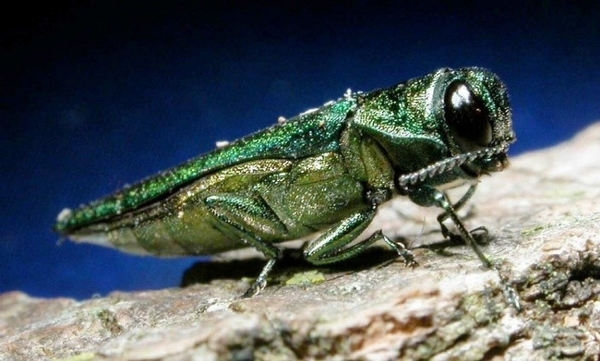 A cure for emerald ash borer exists. Research has shown nearly 100% survival with treatment. Treated trees will survive. Get to know the signs of EAB to better detect an infestation. The first sign that you have an EAB infestation may be woodpecker damage. 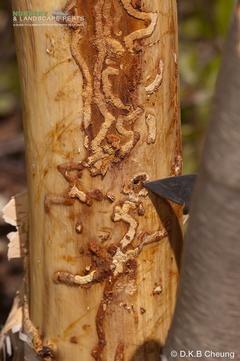 Look for peeling or flaking bark as it is a strong indication that EAB are present. Look for D shaped emergence holes in the bark. The holes will be about 1/8 inch in diameter and are a sure sign that EAB has already infested the tree. Other signs include branch die-back, thinning canopy, and sprouts growing from the tree base or trunk of the tree. 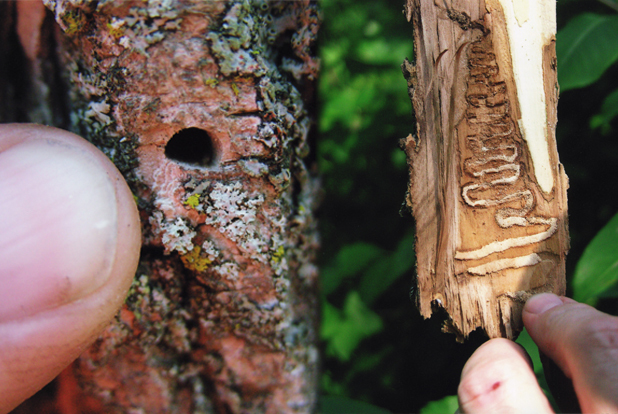 Look for emerald ash borer beetles present during the summer months. If you suspect you have an infestation, call a tree care professional right away to discuss your options. Keep in mind that treatments are a more economical approach to EAB management than removal and replacement. 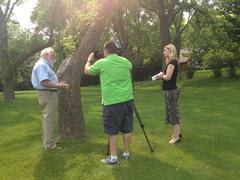 We have partnered to treat EAB for the cities of Cedarburg, Milwaukee, Oak Creek, Stevens Point and Wauwatosa. 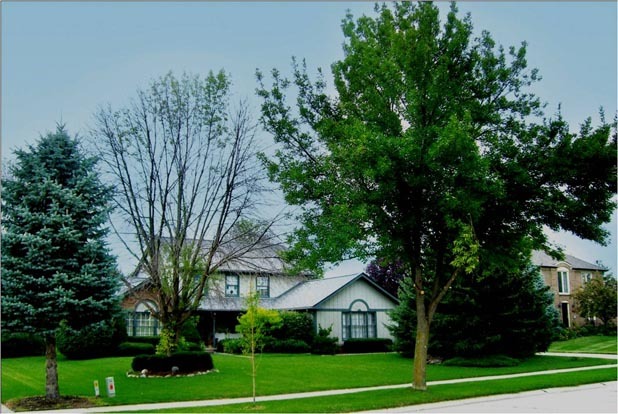 Save $89.00 – Call today for a no cost inspection and evaluation of your ash trees. Save Your Ash Trees or Give Them Up to the Bug! Emerald Ash Borer found in Portage County - Portage, Wood and Adams counties quarantined. Ken Ottman on WJFW TV-12!